Thursdays, 9 a.m. - 2 p.m. The citizens of Wausau have proven to be hard working farmers, creative jewelry producers, soap creators, cooks, and artists. 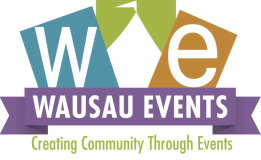 Every Thursday during the summer Wausau Events provides a place to highlight all of their hard work by hosting Marketplace Thursdays on The 400 Block. Food trucks are also on site. Stop by the market to grab lunch and get some fresh produce for home! Marketplace Thursdays is located on the 400 Block in Wausau. If you are interested in becoming a vendor for the 2019 season of Marketplace Thursdays, please complete the and submit by April 26, 2019!